I'll see if I can some. Seems like a good price, is this anything like thatchers haze? That stuff is bloody handsome! 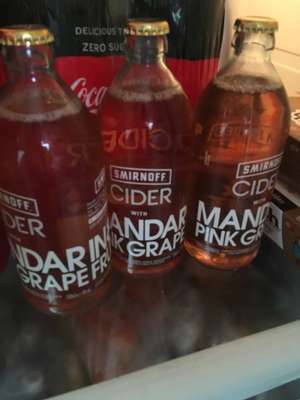 Smirnoff cider mandarin & pink grapefruit 3 for £3 in heron foods. Size of bottle I think. They're 500ml I think. You can see if you zoom in to the photo. I've never seen alcohol in heroin foods before. Didn't think they sold it! What you mean no quantity stated? Voted cold - no quantity stated. Heat OP. (y) Not on website in 10 pack. Must be a sell through. Seen them in Asda but not Tesco. Not very strong but nice flavours complement the cider. Nice!.. very very sweet though! Heat. What's the sweet apple like ? Anyone had the snapple sweet apple and able to compare? 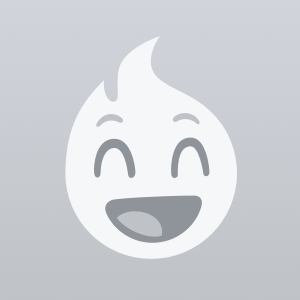 Tbh Brahma isnt very nice anyway imo, pretty tasteless, but its good that they're making different ones part of it. Heineken and Stella for me though (although the 18x440mml cans for £10 is a better deal). Nah, let them use their hospital car park, prescription and student loan money to pay for it. Scots are rolling in it compared to the English. Agreed.....But as i say havent seen Brahma included before. I saw this price in the Macclesfield Aldi as well. There wasn't any apple in the big stack, but there was still a lot of the pear. Just bought dome in Chelmsford with 19th May 2019 expiry. Not for 'showing off', but good enough to quench my thirst when I don't fancy a bottle of wine. Thanks for posting managed to get some. braggs is a couple of dollars a big bottle in the states,they also have a multitude of flavours to make it more palitable. the choice is much more limited and expensive in the uk. best value is the home bargain plastic bottle version £1.19 or £2 in the aldi if you prefer a glass bottle. I use this one and had switched to Biona once from Boots which is much cheaper. I found this one better in taste and could feel that its more effective than Biona. So now am back to using Bragg’s which gives me desired results and i dnt struggle to finish the bottle unlike Biona..so for me its either Bragg’s or nothing now when it comes to ACV. Never miss a 'Cider' deal again! This stuff smells horrible, they were tipping it down the drain. Also the beer was sold off cheap as it had a short life. M&amp;S are very selective which stores sell the offers. 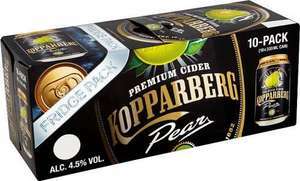 Norwich,Yarmouth and Lowestoft didn't have the recent fruit lagers on offer still £2 a can,what is it with the east of England. 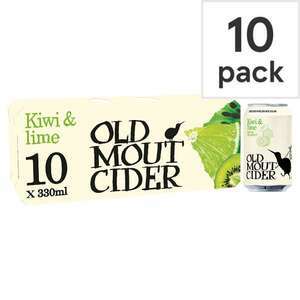 I'm not really a cider fan, but at this price it would be rude not to give it a try. Love this stuff and there's almost always an offer on it on Checkoutsmart. No idea why cold - thanks, just picked 4 up. They sell this stuff in wetherspoons gets you drunk quickly. Bring it to a festival, strap the bag to your leg, pretend it's a full colostomy bag. Cheapest I have ever seen pint cans 4 pack only £3.25 in store at Co-op. It's nice, would be nice with some ice. None in mine &#x1F625;. The staff hadn’t heard of it. Checkout Smart are offering 80p cash back on Cranes Ciders. They are also available in the 4 for £6.00 Asda offer. Offer refreshed on my app today to give £3 back on 4 bottles - half price! These are really good, Blueberries &amp; Apples are my favourite. Once you've purchased once you get 50p off again! I think they have about 40% less sugar than some of the other fruit ciders. 4% vol in cider? That thing is full of sugar nothing less. Tastes like rotten apples(very poor quality batch to batch) . Even Tesco and Sainsburys, Morrisons original cider tastes better. Bulmers, Thatchers, Carling Scrumpy Jacks all better. Same price in Gillingham, Kent. I believe this is national. Good price - I do like a Magners :) Heat from me. Alcohol free, why? just get some pop if you want Alcohol free Berry and Cherry "cider"
Where do you get 2L for a quid? Found in High Wycombe Asda, not sure if Nationwide. Works out to £1.40/litre, compared to a 10 pack for £10 which is £2.27/litre this is a steal! I bought 3 of these for the weekend.. good luck to me! I had one of these last night, and do not feel very well today.